It’s always fun to look back at how Vancouverites used to cool off during the summer months, seeing how our waterfront landscape — and swimming attire — has changed. Since I have previously posted a collection of beach photos (and a short story about the English Bay Pier) today I’m focusing specifically on swimming for this blast from the past. 1905: Men’s swimming race in English Bay. Archives# Be P12.04. Photographer: Philip Timms. 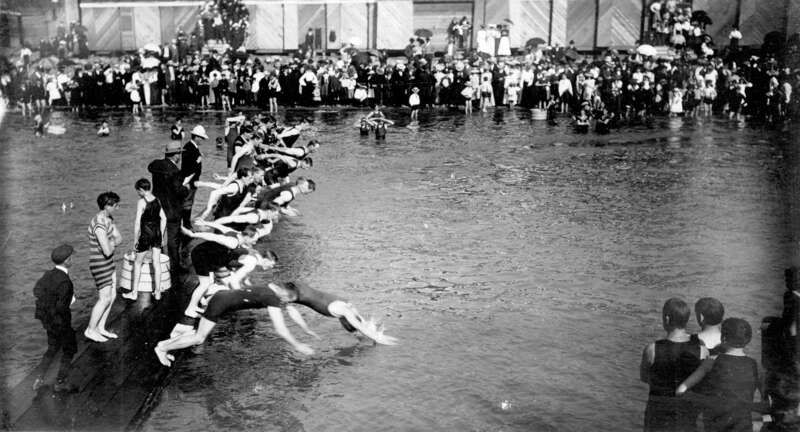 1900s: English Bay swimming race & diving. VPL# 5454 & 5474. Photographer: Philip Timms. 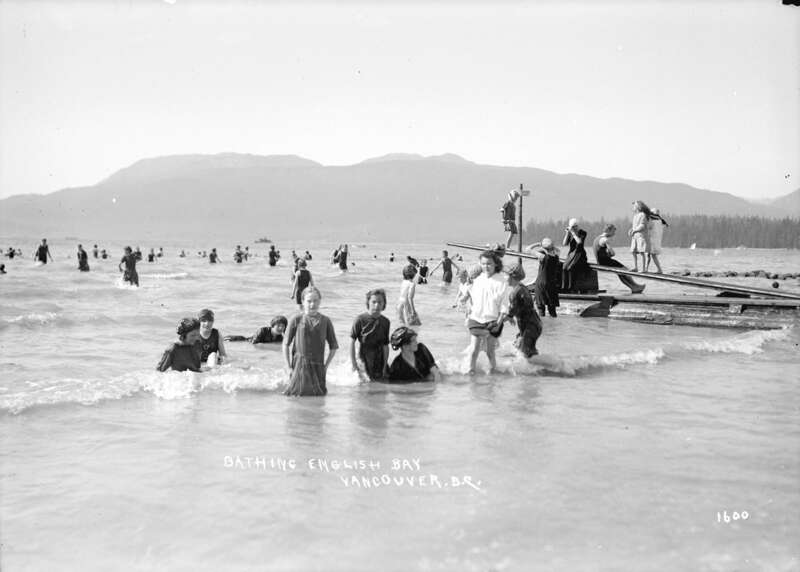 1912: Bathing in English Bay. Archives# SGN 1015. 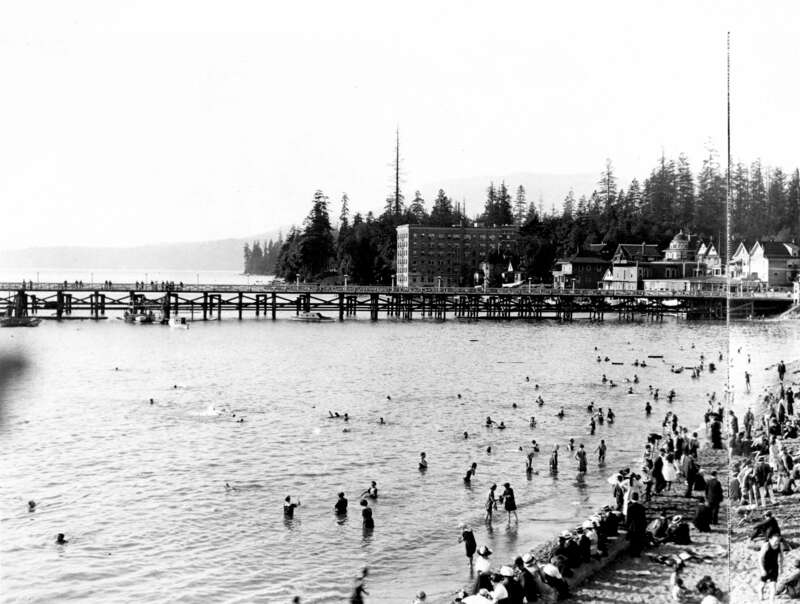 1914: August at English Bay. Archives# Be P144.1. 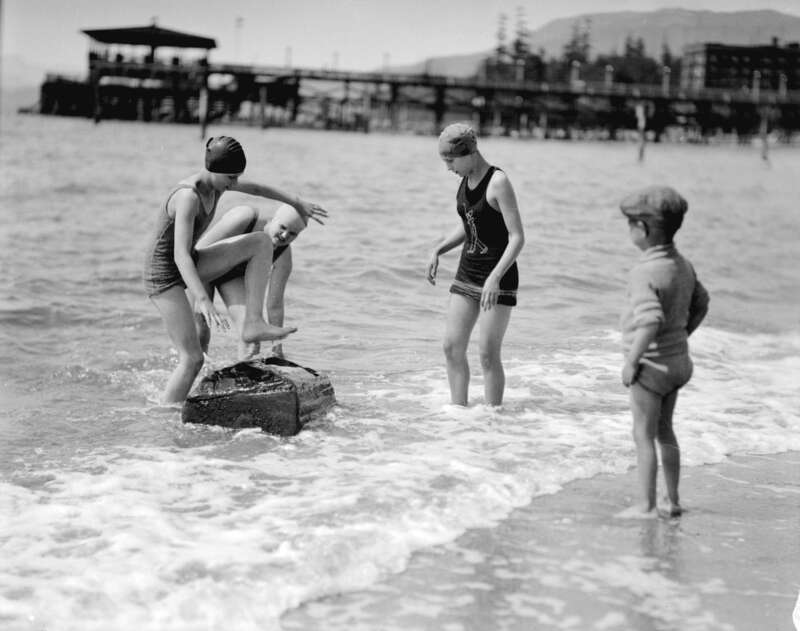 1929: Summer fun at English Bay. Archives# CVA 99-2471. 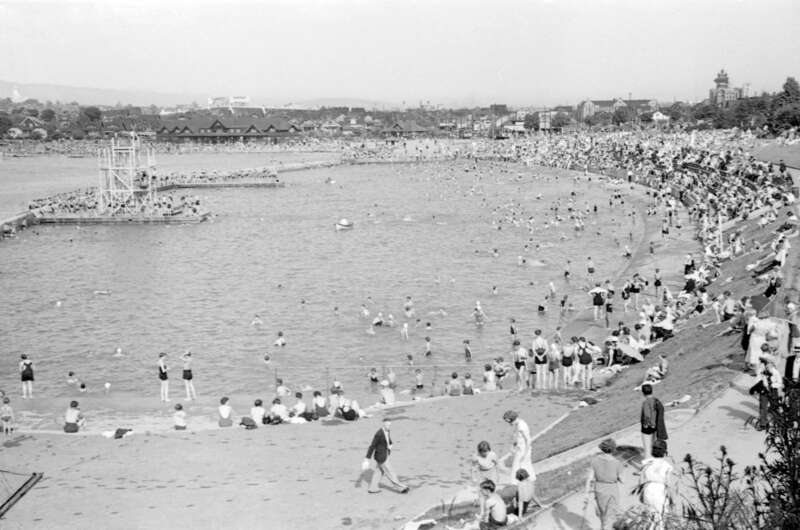 1930s: Summer at English Bay. Archives# CVA 99-2120. 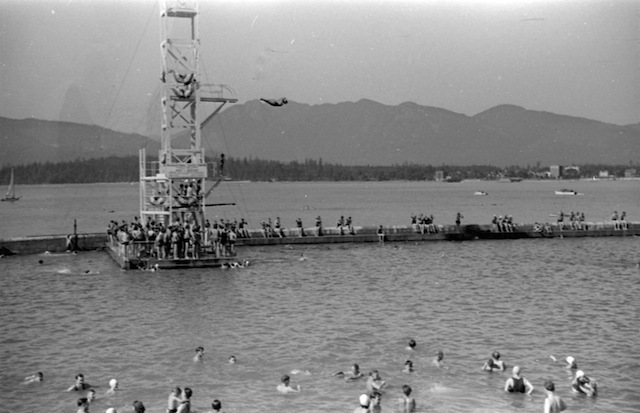 1936: Diving platform at Kitsilano Pool. Archives# CVA 260-434. Photographer: James Crookall. 1910: Joe Fortes at English Bay. VPL# 83598 & 1960s: Lifeguard. VPL# 41549. Photo: Province Newspaper. 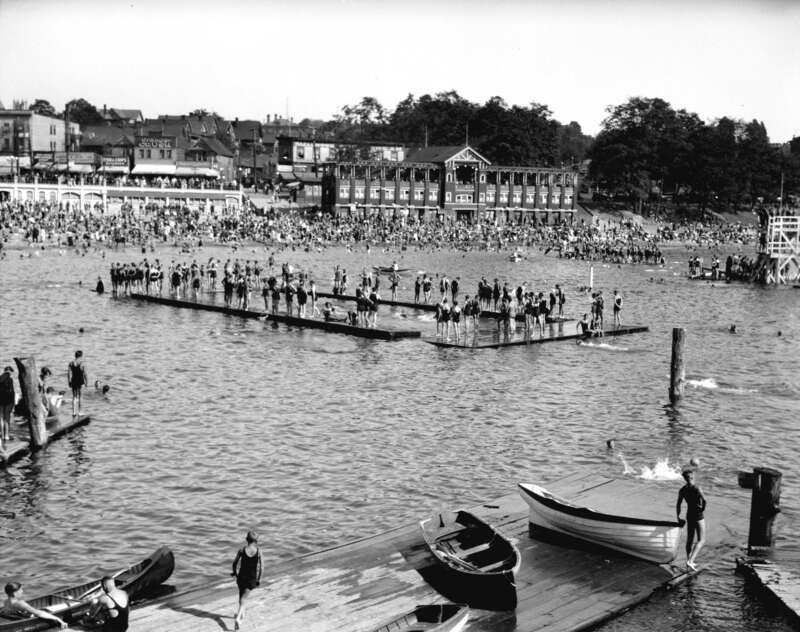 1932: Kitsilano Pool. Archives# CVA 260-707. Photographer: James Crookall. 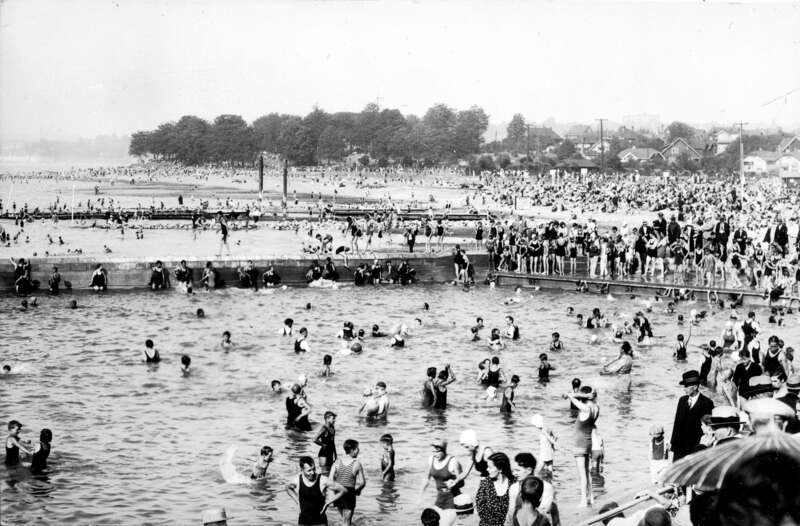 1937: Kitsilano Beach Pool. Archives# Be P112.10. Find more historical photos by searching the databases of the Vancouver Public Library and City of Vancouver Archives. Love it! I enjoy going to the Sylvia for drinks to see all the photos of English Bay in the past on the wall. Thanks for sharing!